Filled with heartwarming and festive moments, the holiday season and thoughts of the New Year inspire us to plan for the future. If you’re beau is planning to pop the question, be sure to tune-in every Monday and Wednesday on Instagram, Facebook, Twitter or Pinterest throughout the month of December for a curated selection of 8 sparkling engagement rings. Week 4: This week, we highlighted two similar, yet distinctive designs that feature intertwining strands of diamonds that wrap around the center stone – do you prefer a rose gold or a white gold setting? Let us know by heading over to the Coast Facebook page – We’re at the edge of our seats! Coast Diamond #8RingsofSparkle solitaire engagement ring with ribbons of diamonds around the center stone. Week 3: This week we were in a romantic state-of-mind! Are you dreaming of a holiday proposal this year? Let us know which ring you wouldn’t mind finding under the Christmas tree next week by heading over to the Coast Facebook page. Coast Diamond #8RingsofSparkle Vintage Romance Engagement Ring (LC5357). Week 2: It’s time to vote! Let us know on Facebook which Coast Diamond Color Collection design best describes your bridal style. Click here to leave your choice in the comment section. Week 1: We want to hear from you! 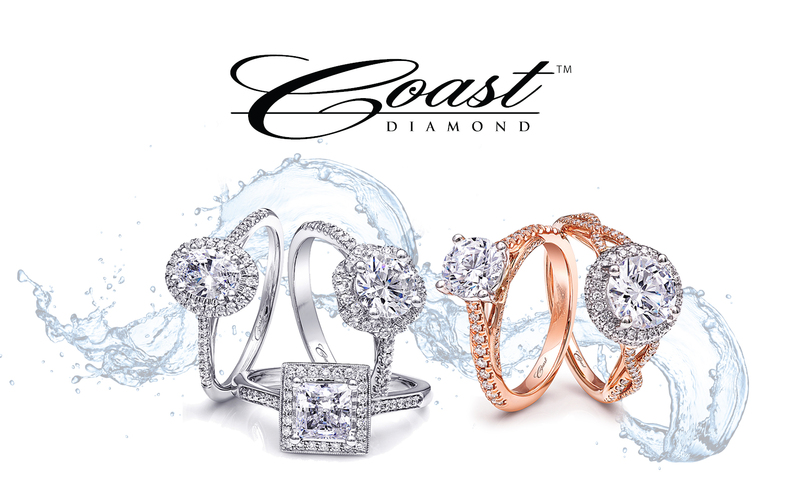 Let us know on Facebook which Coast Diamond design is the ring of your dreams. Click here to leave your choice in the comment section.